Essential plot rundown: Bourne's replacement must look for drugs while people in an office look for him. 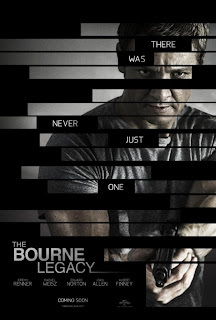 I wasn't a fan of the other Bourne movies (the 1st was the only decent one) so I wasn't too excited to go see Bourne Legacy. (I would have rather saw The Dark Knight Rises again, but my dad wanted to see this). But I was also curious as to how they would continue the story without Matt Damon, so we went. I did not like this movie. I thought the beginning was super confusing. (Though, that may have been my fault for I haven't seen the other movies in a while). They start off talking about Bourne and Treadstone and YouTube, and because of this, they start killing off all of their agents. The whole time I was trying to make the connection between this and the other movies. I was lost for the first act of the movie. But, then I just accepted the fact that they wanted everyone dead. But I still don't know why. I also thought the ending was boring. The last part of the movie is like a 30 minute chase scene. I kept wanting to check my clock to see how much longer was left. And it was anti climatic. The chase just suddenly ended, and then 3 minutes later, the movie ended. And I couldn't see how this was connected to the others. With the use of drugs, it felt like a different movie. 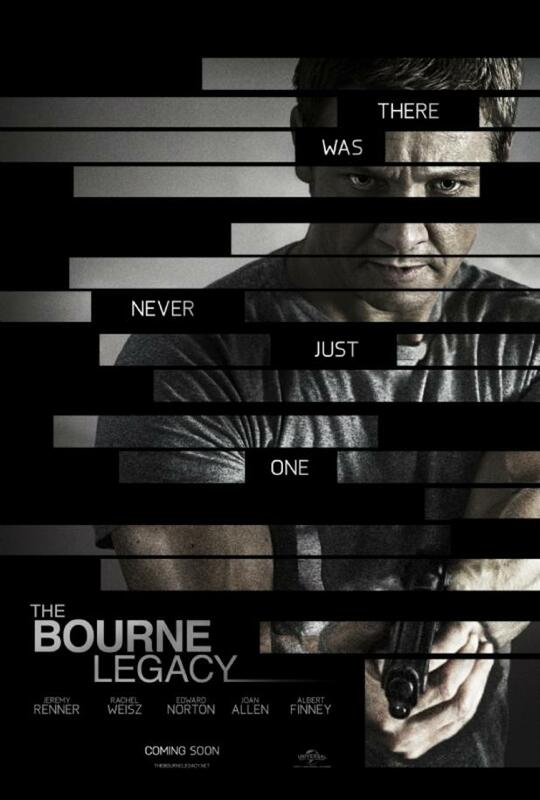 It seemed that they only used the Bourne title as a way to make more money. But I thought that it could have been a stand alone movie. I also wasn't sure when it took place. Seeing that it's the fourth installment, I assumed that it took place after the other three. But, I think it happens at the same time as either Supremacy or Ultimatum. But, I wasn't sure. So, I was not pleased with this movie. But, then again, I didn't really like the other ones either. I imagine that if someone liked the others and remembered what Treadstone and Blackbriar (I think that's what it is called) are, then they might enjoy this movie. However, for me, it wasn't my cup of tea.